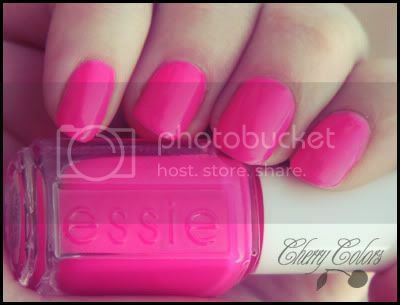 NOTD: Essie Flirty Fuchsia - Cherry Colors - Cosmetics Heaven! I have been wearing this nails polish for the whole week now :). I took some cell phone pictures a year ago, here. Anyway here is the new one (edited, to get the more realistic color). More what it shows on the camera, and less what it is in RL.. 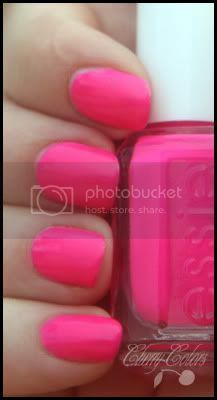 I really do like this color, and it must be one of my fav pinks! It's soooo perfect for summer, that it's hard to say! I don't know if you remember, but this was from last years Summer Collection!